The world's most powerful warship (in three different centuries) and its first high-voltage power station, the largest palace in Europe, the headquarters of Trinity House and the East India Company, together with London's Royal Dockyards, Arsenal, Observatory, Seamen's Hospital, Naval College, first steam railway and only nuclear reactor have all - at one time or another - been found along the south bank of the River Thames in Greenwich, Woolwich and Deptford. 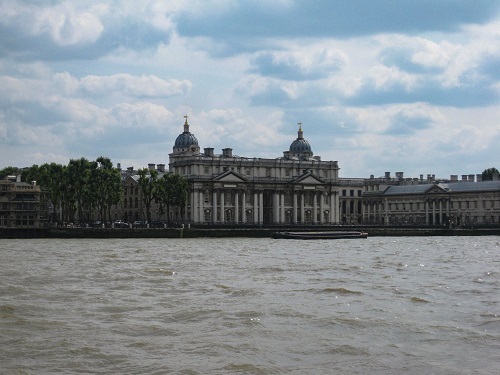 Here, Sir John Franklin's and James Cook's ships were fitted-out and here Francis Drake, on his way to be knighted, brought the Golden Hind after her circumnavigation; and from here Samuel Pepys oversaw the building of 30 new ships one of which, the Lenox, is to be built again. Plus: the other, more controversial decision taken at the International Meridian Conference, and how they fixed the time machine on the day the pips were late. Date: Wednesday 6 February. Lectures and talks start promptly at 1900 hrs. Booking: To book places on any lecture, and to indicate whether you’ll be ordering food, click on [Book Events Online]. Please pay on the door as usual. Any problems with the booking system, call or email Jeremy on 020 7537 2828/reception@theca.org.uk. Tickets are: £4 for members and £7 for non-members. Season tickets are available at £20 for the seven lectures from 6 February to 20 March. Please note that the season ticket price excludes the Hanson Lecture which must be booked separately.